Are you, or someone you know, a local craft beer lover? This sticker is perfect for anyone who loves craft beer from Cooperstown, Otsego County! 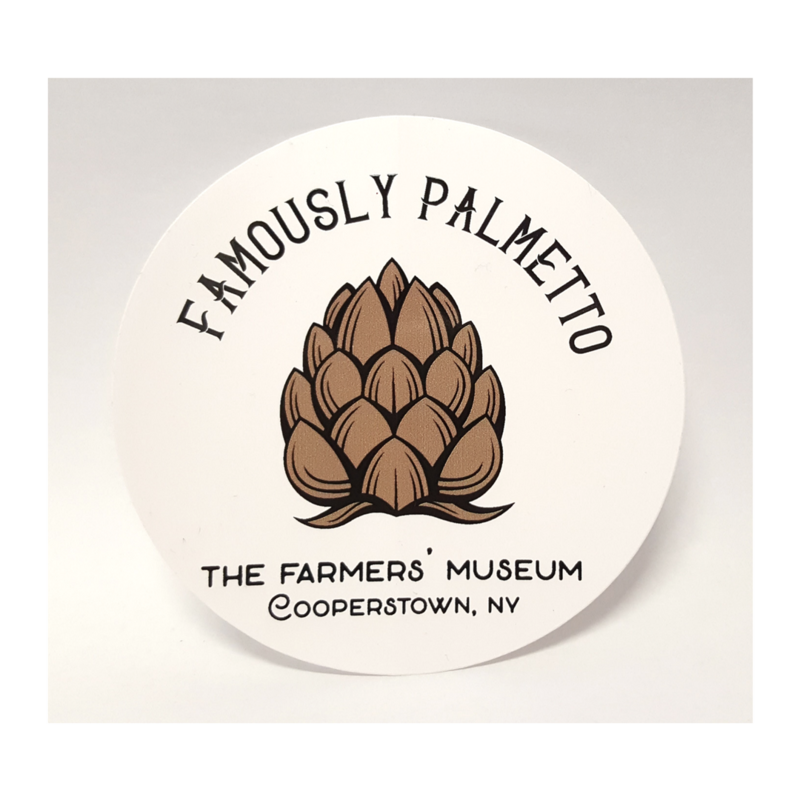 "Famously Palmetto" is a cipher phrase The Farmers' Museum came up with from a historical New York State Hop Cipher book. It translates to "Otsego County Hops, Cooperstown".